The authorization of an ingredient or additive is strictly connected to the finished product’s legal name, so it is recommended to properly define the product category in order to assess if the ingredients, including additives, are allowed in this specific category. In the US, manufacturers have to follow standards that may vary from one state to another. For instance, the California Proposition 65 (CA PROP 65), administered by the Office of Environmental Health Hazard Assessment (OEHHA) of the California Environmental Protection Agency (CalEPA), determines whether chemicals meet the criteria to be added to the CA PROP 65 list, and administers labeling, warning and risk exposure requirements for these substances to be placed on the Californian market. This law is intended to protect citizens from a list of chemicals that are known to cause cancer, birth defects or other reproductive harm. Recently, the Proposition 65 was enforced, when a California judge ruled that coffee must carry a cancer warning under the state law known as Proposition 65. 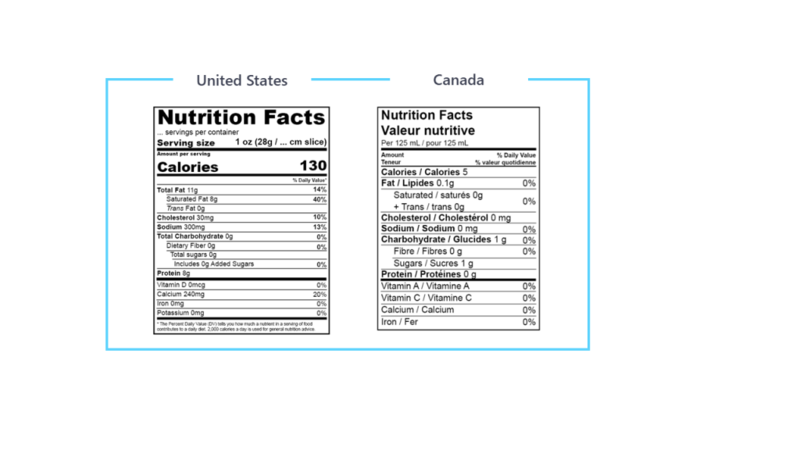 In the US, the Code of Federal Regulations covers almost all requirements regarding nutritional labeling, food additives, and product standards. It also covers the new Nutrition Facts Label requirements. In Canada, Health Canada is responsible to set out policies, regulations and standards for food and nutrition labeling, food additives, advertising and product standards under the Food and Drugs Act. It also includes requirements for the Nutrition Facts table. Like labeling, packaging can also be subject to regulations that differ from one country to another. In Europe, the Packaging Directive 94/62/EC legislation set targets that each country needs to meet with their own strategy and legislation. Therefore, regulatory texts can differ among the European countries. For instance, in Germany, on January 1, 2019, a new Packaging Act will introduce additional ecological waste management requirements. Food and beverage manufacturers will need to set up a collection and disposal system to manage one-way packaging placed on the market for “private consumers”. Food regulations: What are the new regulatory challenges? Internationalization – It can already be difficult and cumbersome to comply with regulations in one country, but it is even more challenging when a company has to deal with different markets. Legislations are complex and differ from one country to another. 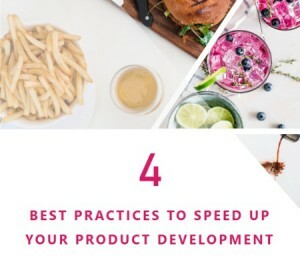 Ensuring that each product is labeled correctly and completely following local, national and international laws is one of the major challenges of food and consumer goods businesses. Non-conformity – A non-conformity can arise from different aspects. 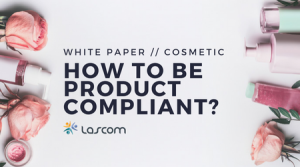 For instance, a product can contain banned ingredients or additives, have contaminants in higher levels than authorized, and have missing or misleading mandatory information (e.g. : marketing texts). However, one major risk is the presence of undeclared allergens in food products as it is a serious food safety hazard with high risk for final consumers. Implementing allergen controls is a difficult challenge to overcome knowing that product recipes are continuously evolving. This, in turn, leads to difficulty in properly managing food labeling. Rely on an international network of regulatory experts – Food compliance requires a strong knowledge of local rules and their interpretation, as well as the ability to always be up to date regarding these food regulations in order to anticipate the application of any possible change. 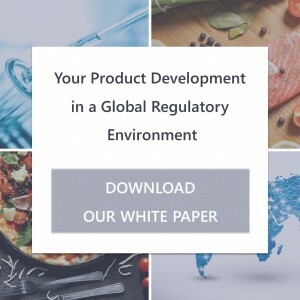 Having access to a network of food regulatory specialists, spread out in the countries where the products are intended to be commercialized, is a key element of food companies strategy. 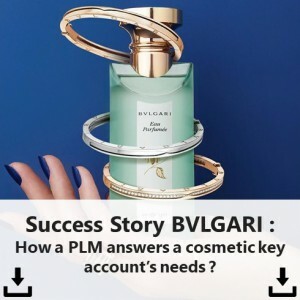 Using dedicated IT tools, such as a Product Lifecycle Management software, also facilitate product and label compliance. 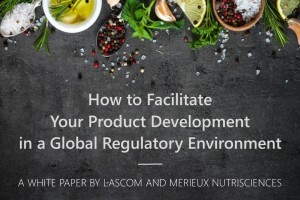 Share the post "Food Regulations: How to Facilitate Your Product Development in a Global Regulatory Environment"